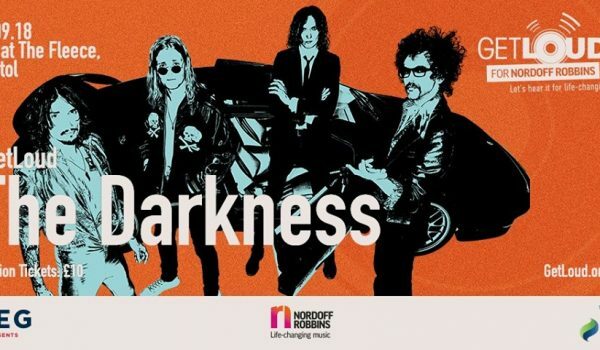 The days are long gone when people have considered The Darkness a “joke glam” band. 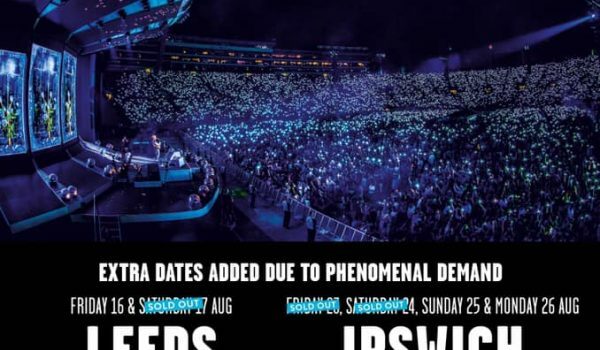 Since reforming in 2011, the British rockers have put out three successful albums and are currently playing sold out venues across the United States in support of their most recent output Pinewood Smile. The tour billed as the “Tour de Prance” rode into the Gothic Theatre in Englewood, Colorado on Saturday April 7. 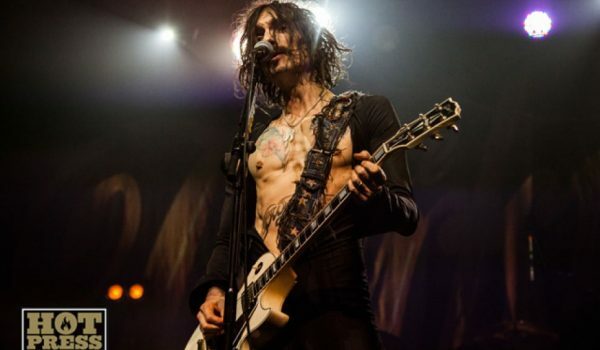 The band stepped on stage one by one with Rufus Tiger Taylor (drums), then Frankie Poullian (bass), next was Dan Hawkins (guitar), and finally Justin Hawkins walked out wearing a leopard jumpsuit and matching cape posing as if he was William Shakespeare. He grabbed his signature guitar and lead the band into “Open Fire”. The set was both heavy on new songs from Pinewood Smile and their debut album Permission To Landreleased in 2003”. The new songs including “Southern Trains”, “All The Pretty Girls”, “Solid Gold”, and “Buccaneers Of Hispaniola” fit wonderfully into the set and the crowd sang along as if they had been in the set for years. If you are a fan of Justin’s falsetto voice, swagger, and showmanship you would not be disappointed as he brought his “A” game to Colorado and the crowd loved it. Obviously one of the highlights of their shows besides great rock music is the humor and band’s crowd interaction. The crowd cheered and laughed when various articles of clothing got tossed onstage and Justin had witty comical responses before breaking into the sets next song. Justin joked about the bands rise and fall from rock status and chanted “three more songs” repeatedly before they ended the set with “Stuck In A Rut”, “Get Your Hands Off My Women”, and Growing On Me” from Permission To Land. 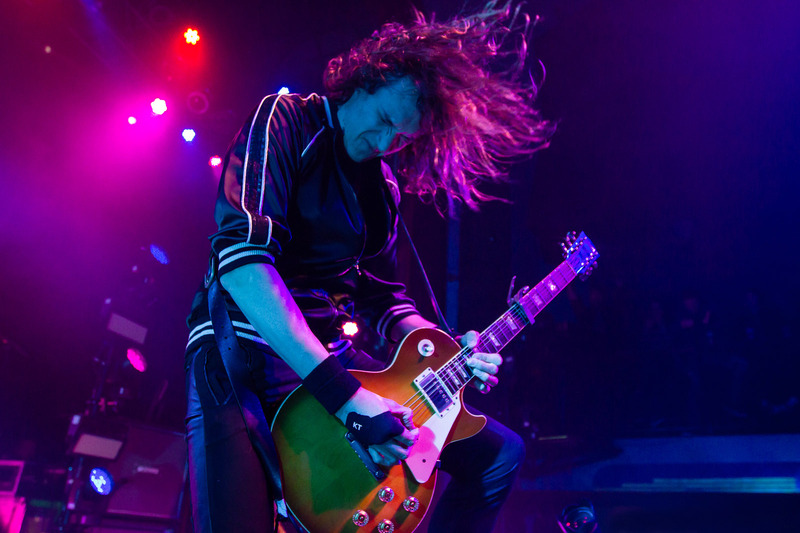 “The thing about rock music, and so many people over the years have taken the piss out of it, is it’s not necessarily a cool thing to listen to,” Hawkins says. “But in a way it is the cool thing in that it’s not trying to be cool or follow the trends. It is just rock. 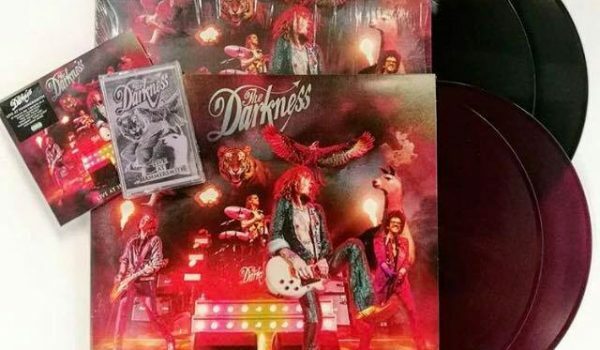 Fashions come and go, but people are always are going to love rock.” The Darkness sure do rock and fans love it! Kerrang! and The Great Darkness Bake Off news! 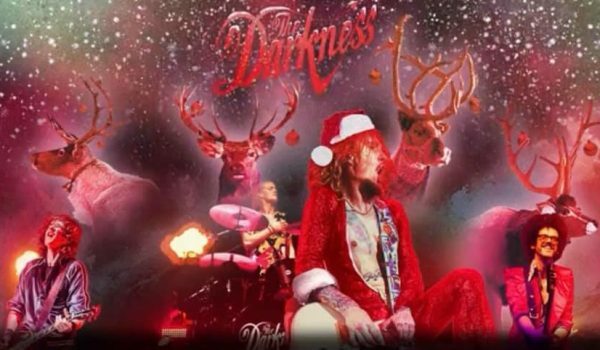 Justin Hawkins interview with Pat Carty on Hot Press! Get Loud for Nordoff Robbins! 26 September Bristol UK! ‘LIVE at Hammersmith’ OUT NOW!